Not a lot of these around anymore, but these are the real deal! 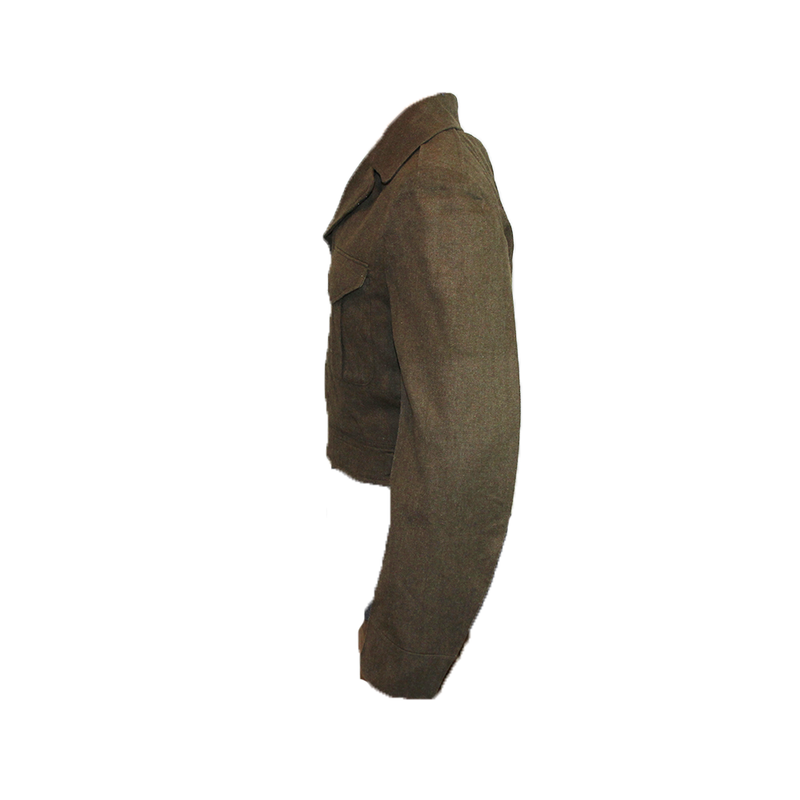 The classic Second World War era Battledress uniform was utilized from the 1930s throughout the Commonwealth, and would see continued use in various nations well into the 1960s. 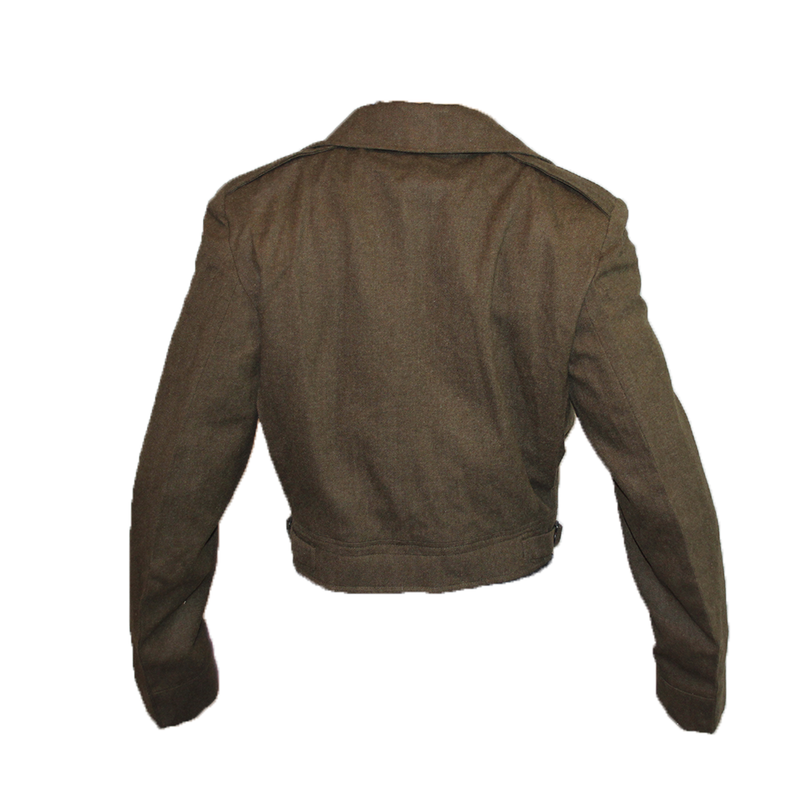 Designed as a replacement to Great War era service dress, the lengths of these uniforms were intentionally shortened allow for higher riding trousers, and theoretically provide the wearer with more mobility in mechanized warfare. 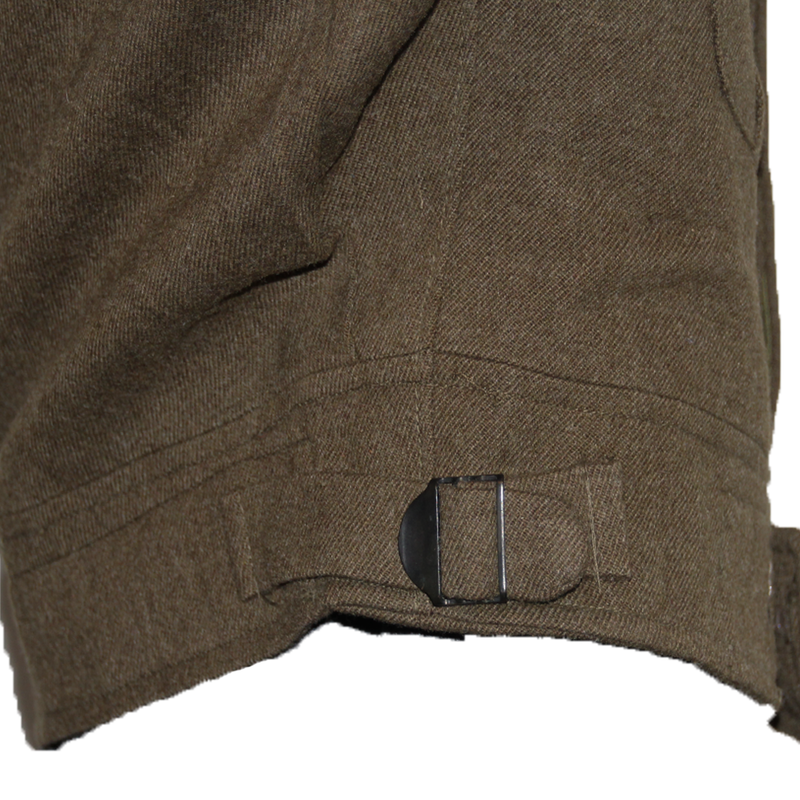 The unique forward stitched elbows also allowed the soldier to better steer a vehicle, and shoulder a rifle. 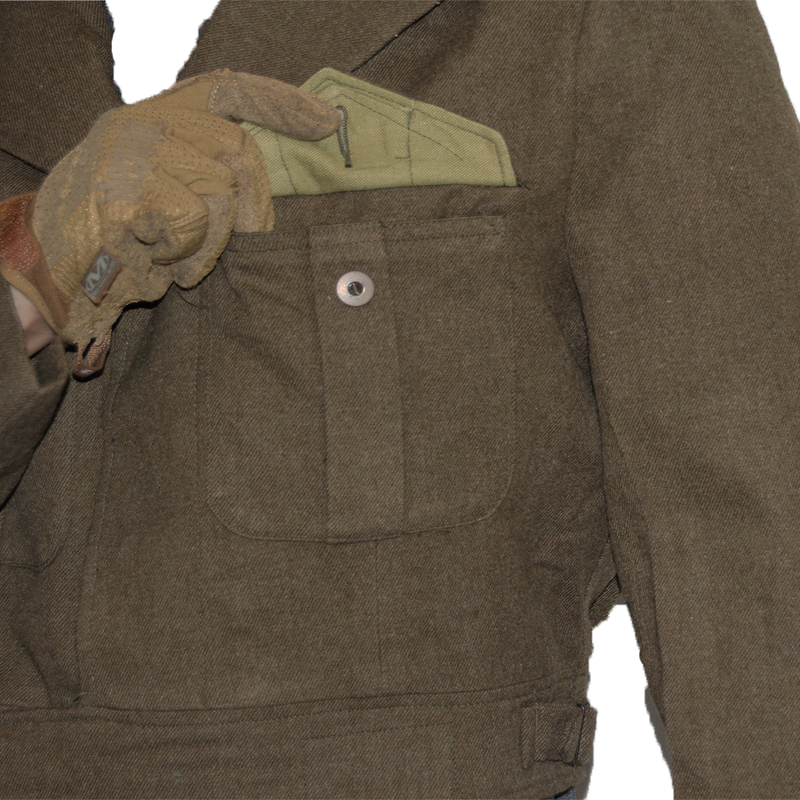 Despite it's unpopularity with most wearers, it continued to use as a combat uniform component well into the Korean War in Canada. 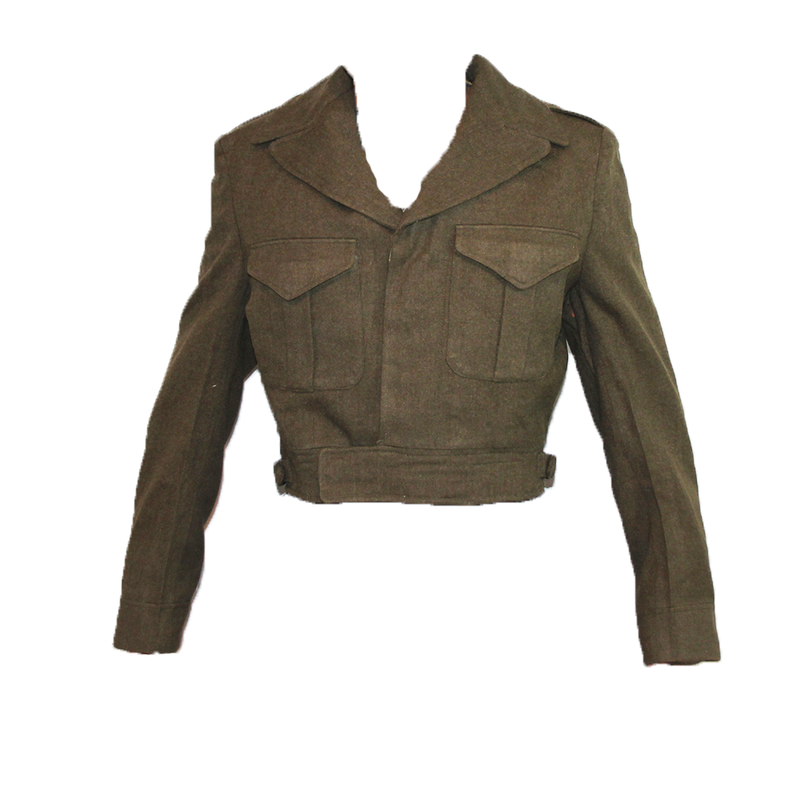 For this purpose, it had been slightly alternated in 1949 with a more greenish tint in contrast to the dark brown British manufactured uniforms, a more open top collar, and included a distinctive hook at the bottom of the blouse. 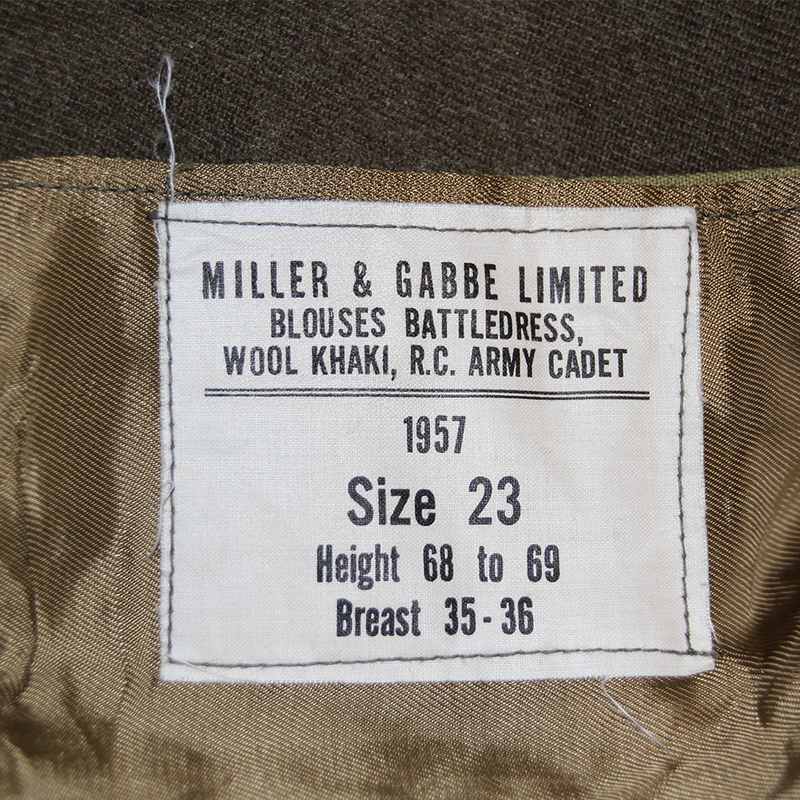 These particular ones appear to have been issued exclusively to Royal Canadian Army Cadets around the same time of the Korean War. For the most part, they appear barely used or like new, despite their age. 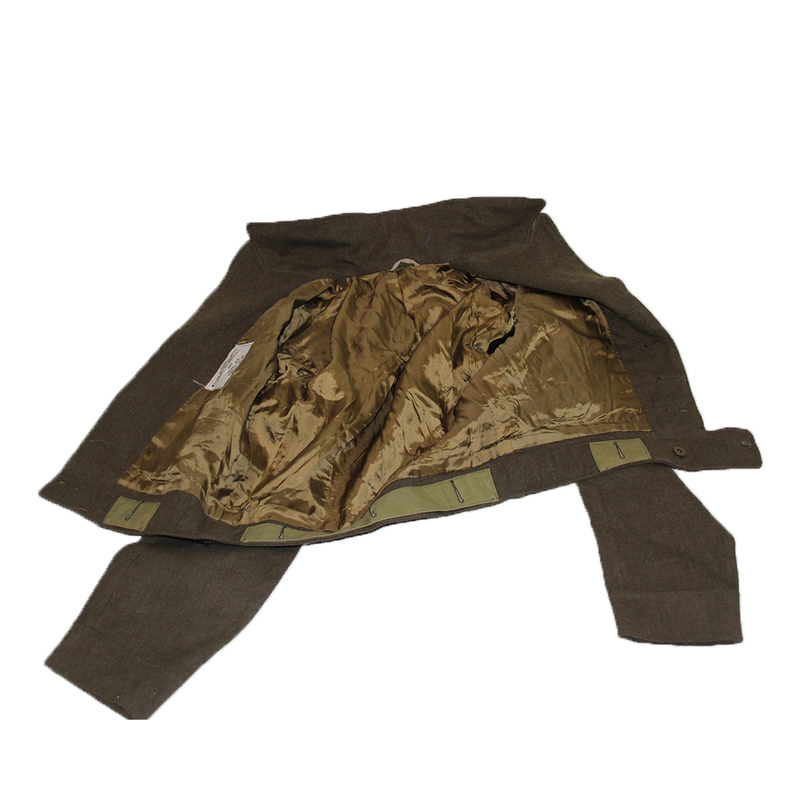 This makes them a wonder piece for a collector, reenactor, or even as a fashion statement. This is one piece of kit that used to be a "dime-a-dozen", and we're pretty lucky to have any at all. Once they're gone, they're gone!